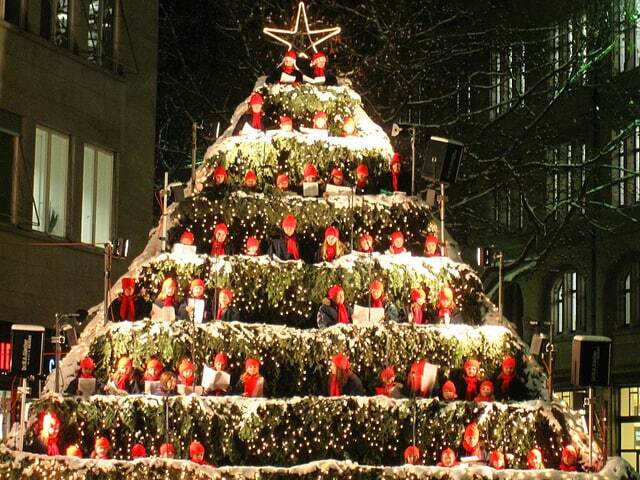 I think I know what I will be making this week! ? That looks delicious as usual Mairead! Add some brown or soda bread and I call it dinner! Thanks for posting this! Hi Patricia – nothing complicated about this soup. Simple ingredients, and simple flavors, but delicious just the same. Hi Alice – I’m delighted you like my recipes. I tend to make simple, nutritious food from the recipes I learned from my mother. Thanks so much for stopping by to check out this potato soup. 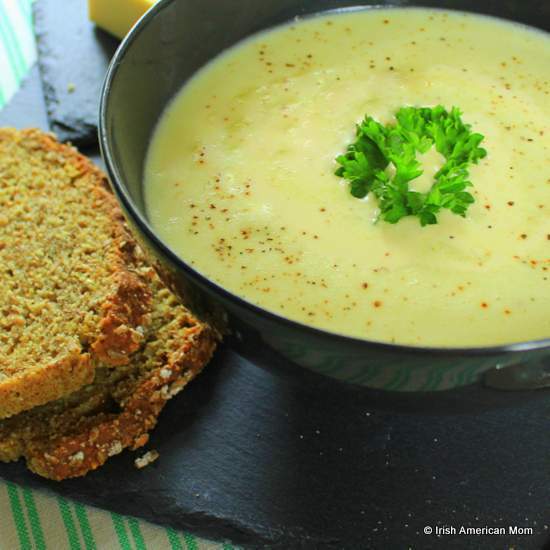 Mairead, I made your potato and leek soup last week, delicious as usual! This potato soup is so easy, will make it soon too! Brown bread a great accompaniement. Hi Miriam – Brown bread is perfect with a good soup. 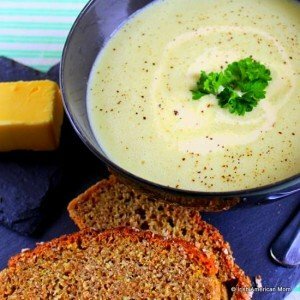 So glad you liked my potato and leek soup and I hope you’ll like this plain and simple potato soup just as much. Hi Karen – I had to look up a Thermomix on Google – what an amazing gadget. It does so much, and I bet you’ll make delicious soups. “Sweating” the vegetables will be easy peasy. Hope you too have a lovely St. Patrick’s Day. No problem, Irishannie. I’d be delighted if Finney shared some of my recipes. I can just imagine a little leprechaun like Finney stirring a wee black pot of potato soup. Thanks for stopping by and for sharing the link for your St. Patrick’s Day cake pop recipe. They look great. Happy Saint Patrick’s Day to you too. I love the simplicity of this soup. So simple yet so perfect. 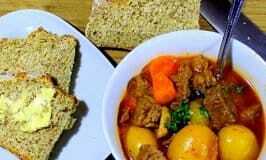 Hi Rahul – Simplicity is the key to Irish cooking – good, tasty ingredients need little to bring out their authentic flavors. twist their arm to taste better. Penny, I’m in Detroit every month and Kroger is ubiquitous. I’ve never seen that variety here in NYC but will have a look when I’m in Detroit next week and if I see it, I’ll bring some back with me to sample. Thanks for the tip! Hi Karen – We’ll start a rooster potato craze in America – a good Irish spud. Well, now that I know it’s a variety used in Ireland, I definitely want to make your soup with it! Hi Penny – Glad to hear you like Rooster potatoes. 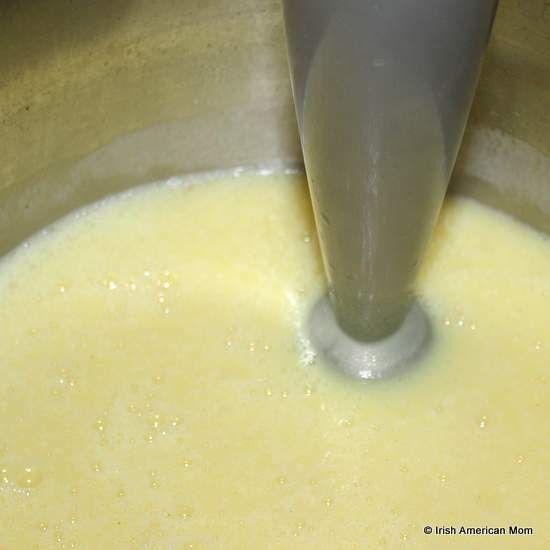 They are sold widely in Ireland and are used by most Irish cooks. You’ll make lovely potato soup with Rooster potatoes. I had no idea about these potatoes and tried them on a whim. All I can say is I’m hooked. Surely you must have been disappointed with the potato selection when you moved here. Of course, like any vegetable, if you can get potatoes at a local farmers market the taste is always fantastic. 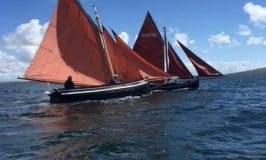 Hi Penny – In Ireland we have many varieties of potatoes that have never been heard of in America – Golden Wonders, Kerr’s Pinks, Maris Pipers, Roosters, and King Edwards to name but a few. When I first came to America I found the potatoes to be too waxy. It’s hard to find a good floury potato like you get in Ireland. Glad you’ve discovered the tastiness of a nice Rooster potato. 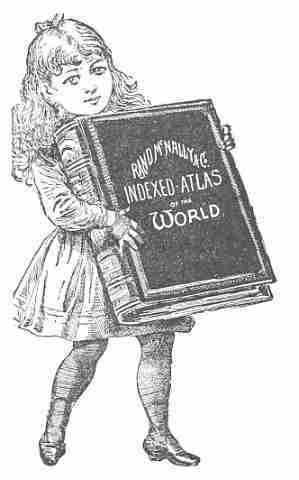 Thanks for visiting my blog and for always adding to our little discussions of all things Irish and Irish American. We call “floury” “mealy” here when describing potatoes (obviously the same concept) but you make a good point. With the exception of Russets, most of ours are waxy. Have you ever had a Lumper? Hi Karen – I’ve never had a lumper, but I know they’re being grown again all around Ireland. They were the type of potato that was grown at the time of the Famine, since they grew in poor soil and yielded a large potato. I’ve read somewhere that they were a little watery compared to today’s “floury” potatoes. Can someone explain and then give me an example of what a floury and a waxy potato are? I see it in recipes and I don’t know what it means. Is an Idaho potato waxy? Or floury? Or something else? What about yellow gold potatoes? What are they considered? I really don’t understand. “Idahos” are Russets that are grown in Idaho. They’re floury/mealy. Yukon Golds are waxy. Hi Karen – Thanks so much for stopping by and joining in our potato chat. I agree with your Russet recommendation. Russets are the flouriest of potatoes in the United States, for sure, and the ones we Irish tend to cook when we cross the Atlantic. 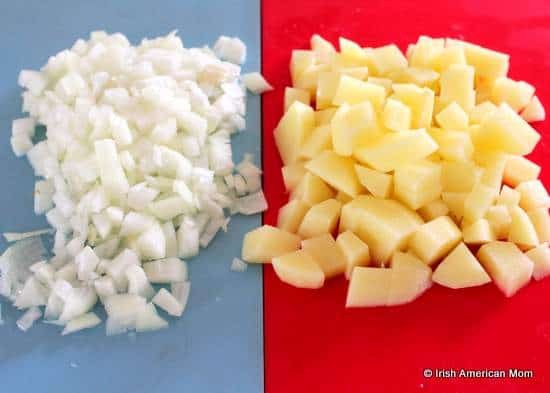 In Ireland, our floury potatoes split open and their floury, mealy insides spill out through the skins when they are boiled. We love our floury potatoes. Potatoes 101, yes please! I hope you will do that Mairead! Okay, Mairéad–spill it! Let’s hear about the fine points of those varieties you named, and are they all floury/mealy? Any “waxies” among them? Looking forward, and I’m guessing I’m not the only one! 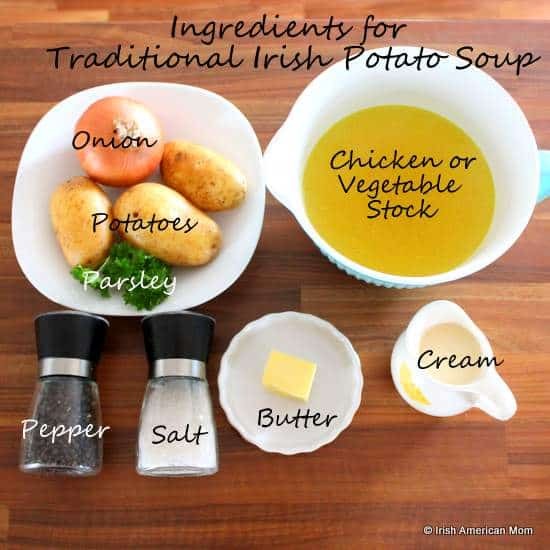 This is very similar to the “recipe” used by my Irish grandmother. 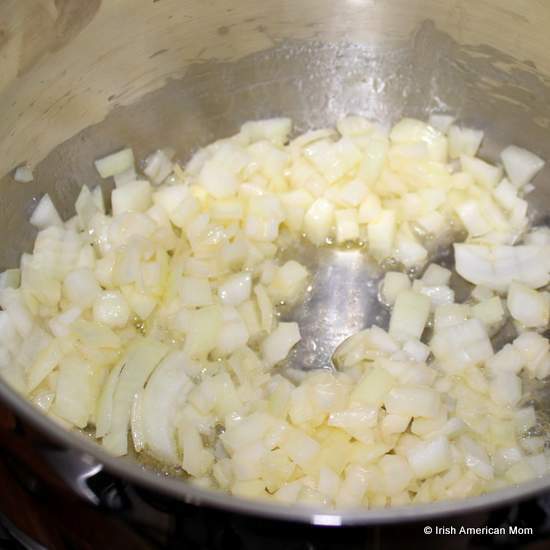 She used evaporated milk instead of cream and cooked the sliced onions and potatoes in the stock. She would mash it up just a bit but didn’t purée it. I guess this was a faster and more economical version to feed a family of 11during the depression. Sometimes she would add some cooked egg noodles too! We still make this soup the same way and it’s a hit every time! Hi Janet – Thanks for sharing your grandmother’s soup making tips. I never heard of using evaporated milk in a soup but I’m sure it makes it delicious. I love learning about the ingenious, budget-friendly recipes used in years gone by, especially when times were tough and large families needed to be fed nourishing meals when funds where tight. I’m so glad to hear you continue to use her recipe to this very day. Made this yesterday, as my husband requested potato soup and I hadn’t made any in a while. By the way Mairead He is from Kentucky. So my search brought me here. This is a very good yet very simple recipe. We love it. Instead of doing the puree I just gently cooked the potatoes until they fell apart, and there were still tiny pieces of potato. Easy and Delicious. Thank you. Hi Annice – I’m so glad your family enjoyed this simple soup. And I love how you chose not to purée it. It can be served so many ways, and a few added veggies are delicious in this soup too. And I’m delighted to hear your Kentucky husband gave this soup his seal of approval. this soup was awesome! I got lots of compliments and people kept asking for more! thank you for sharing! Hi Lorraine – I’m delighted to hear you liked this recipe. Thanks for trying it out. Made this soup for the first time today and the only thing I can say that is wrong with it, is that I should’ve double the recipe. Absolute heaven! Thanks so much. 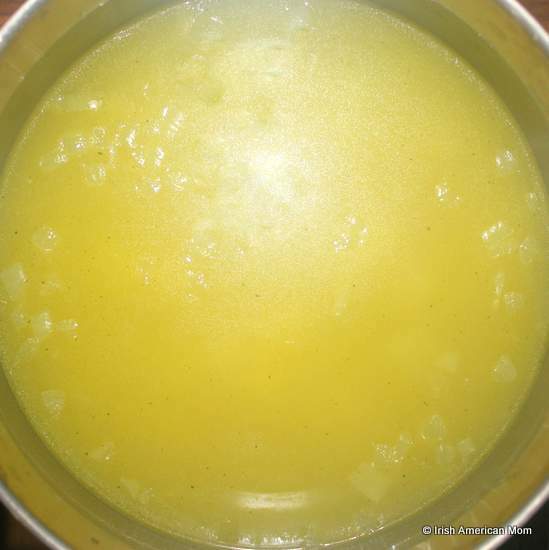 Hi Traci – Lovely to hear this soup was such a great success. It’s great to hear from readers who enjoy these old Irish favorites. 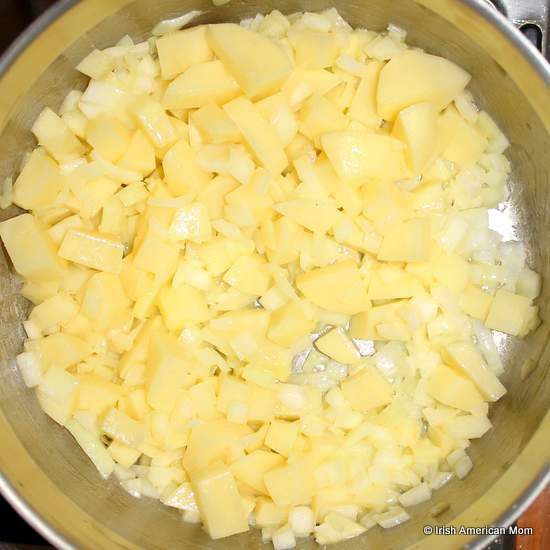 I like to cook traditional Irish potato soup after 16 minutes ready to serve for 9 minutes inch. 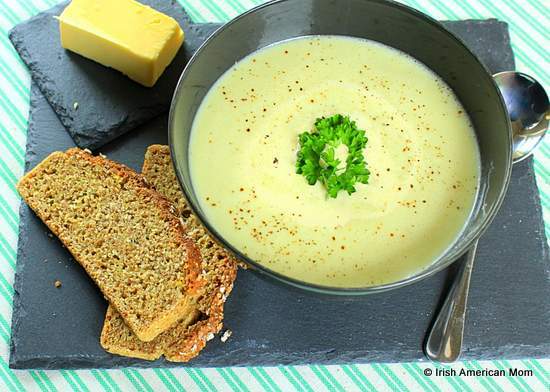 Hi Fiona – Glad to hear you too are a fan of Irish potato soup. Hi, Mairead* Seems like a good spot to let you know that Finney loved this recipe! And…to tell you my own daughter, Kate, decided to try it and made it for her all-man Family…hubby and six growing boys! 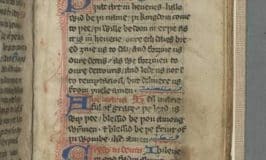 Now Kate makes lots of soups but your particular simply wonderful recipe caused him to tell her that of all the soups she has ever made, he considered it the best! So, how’s that for a lift in your day!!! God bless you, thank you again, and Happy Easter to you and your Family! 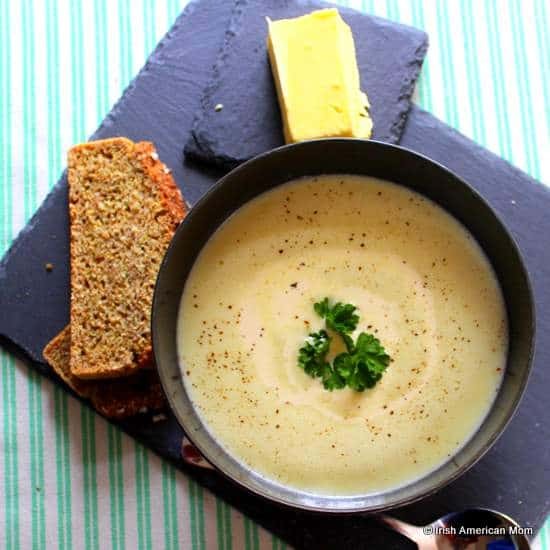 Hi Irishannie – Well that is high praise indeed for this humble potato soup. Thanks so much for sharing your family’s seal of approval for this soup. You’ve made my day alright.